Technology is driving an unprecedented wave of innovation in retail. However, identifying which technologies will have a lasting influence, and which technologies are just ‘hype’ is not always easy. On top of this, consumers’ expectations and behaviour are constantly evolving, meaning that creating great customer experiences both online and offline has become incredibly important. According to Cisco, 86% of customers will spend more money for a better shopping experience. To put it simply, when it comes to ecommerce this means that putting an electronic version of your store catalogue on your company’s website doesn’t cut it as an ecommerce solution anymore. Even click-and-collect, unheard of not long ago, is quickly becoming the minimum standard for customers’ delivery expectations. Moreover, the high street continues to be relevant to the customer experience, especially with the proliferation of pop-up and concept stores. Indeed, for retailers, providing in-store experiences that distinguish your brand from the competition is crucial. So, as more and more retailers look for ways to distinguish themselves, it is important now more than ever to create a unified online and offline experience for your customers. Whilst ‘omnichannel’ may be perceived as just another buzzword, it presents a key opportunity for retailers to create unique experiences for their customers. Although the term ‘omnichannel’ has a number of meanings, overall the term revolves around merging your different sales touch points in order to put your customers at the centre of the retail experience. Today, customers come to expect their experience in-store to be the same as online, especially in terms of inventory, product knowledge and pricing, as well as ease of check out. Meaning that even if you are an SMB with one physical location, omnichannel is something you cannot ignore. At the end of the day, the retailers that will thrive will be the ones who allow customers to shop when, how and where they want. For example, take click-and-collect. As the proportion of sales fulfilled in-store that were ordered online increase, you now have the opportunity to upsell to collecting customers. Meaning, your in-store customer engagement needs to be adapted. This is where Magento comes in. Magento makes it possible for you to stay ahead of your competitors through customisable web options and extensions that connect your digital and physical stores. Indeed, Magento, the world’s most flexible ecommerce platform, allows retailers to achieve commerce without limits. Being fully open source, the ability to adapt and be nimble to changing consumer behaviour is becoming increasing important, so having the right foundations in place is essential. Building on these foundations, a true omnichannel architecture can be achieved. Four years ago, we at ebizmarts realised the importance of merging different retail channels and as a result ebizmarts Point of Sale (POS) for Magento was born. 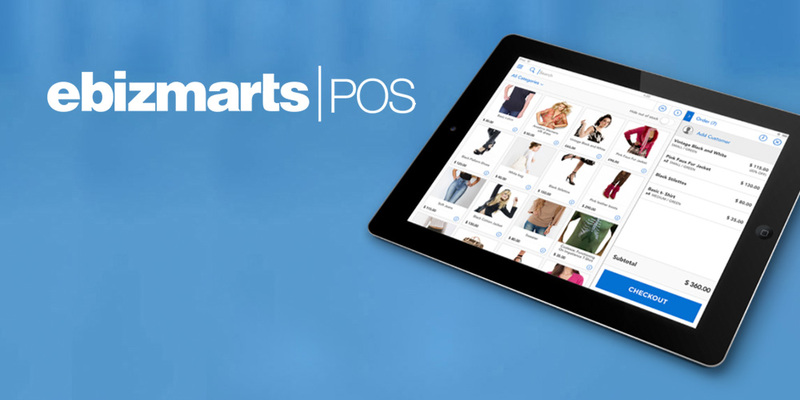 Coupled with Magento, ebizmarts POS allows you to take Magento into your physical environment. The POS enables retailers to provide an omnichannel experience via a native iOS experience to access Magento, anytime, anyplace, anywhere.